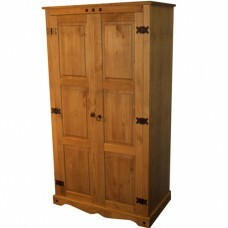 This sturdy 2 door wardrobe is made to a high specification from solid pine. As is shown each door has three panels and three hinges. 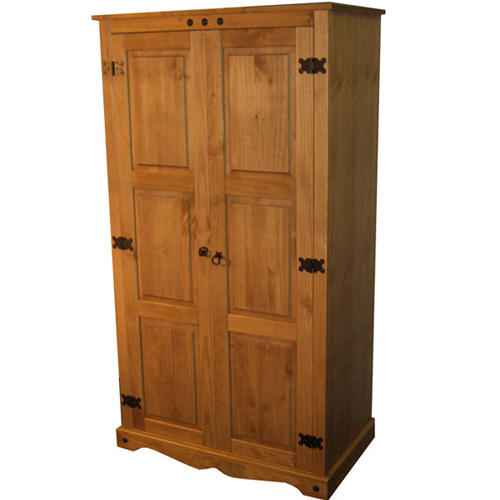 The hinges are constructed to a higher than normal standard as are the rest of the fittings. The Mexican range is manufactured by our associated factory in South America. The picture shown is representative of the actual item, as it is a natural product there may be variations in the shade or the cut of wood. The product comes flat packed and has full clear instructions for easy home assembly.